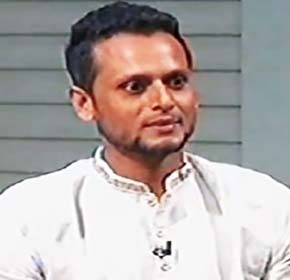 Arafat Sunny is a well-known cricketer who was a member of the Bangladesh National Cricket Team. 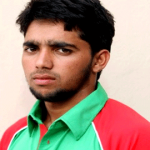 He is a left handed batsman and slow left-arm orthodox bowler played first-class cricket. 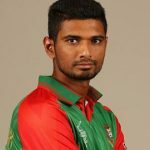 Now Sunny is playing cricket for Dhaka Metropolis as a first-class cricketer. He was suspended from international cricket during the 2016 ICC World Twenty 20 due to illegal bowling action. Sunny is widely mooted around the country for a case framing by his alleged wife. Arafat Sunny was born on September 29, 1986, in Dhaka, Bangladesh. He was so much passionate about cricket since young age eventually entered into the field during the 2001-2002 season. Currently, Sunny lives with his family in Aminbazar resident Dhaka. Arafat Sunny kicked off the journey in the cricket world with first-class cricket in 2001. 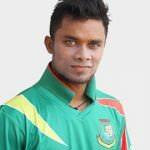 Then he played for Dhaka Metropolis and Rangpur Riders. He made his ODI debut on February 17, 2014, against Sri Lanka in Dhaka. 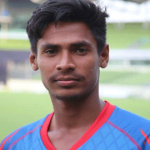 Arafat made Twenty 20 cricket debut on February 12, 2014, at Chittagong. His outstanding bowling figure is 4/29 and 4/27 against Zimbabwe in consecutive two matches in 2014. 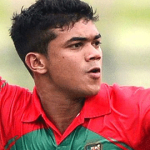 In 2016, he was suspended from international cricket with Taskin Ahmed charges over illegal bowling action while he was selected for the Bangladesh squad in the twenty 20 world cup 2016. Sunny’s alleged wife Nasrin claimed they married on December 4, 2014, after seven years courtship. The lady filed a case against Arafat under the Information and Communication Technology Act claiming that Sunny opened a fake facebook account and sent an indecent photo to 23 years old Nasrin Sultana. The police raided his home at Aminbazar, the suburb of Dhaka and arrested him on January 23, 2017, after the case was filed on January 5. Two more cases are pending for him one is dowry and another is torturing his wife in different two courts. Later he was dropped from the national team.